Mr. Groom’s recommendations on the top 5 shampoo products every grooming salon should have stocked! We’re not making this stuff up guys… we just know what we’re talking about when it comes to grooming! All-Purpose/Every Coat Shampoo: This is your go-to shampoo when there are no other skin and coat concerns to be addressed. A formula that has a high concentration and high dilution ratio so that you are able to get the most out of this product due to a high use. 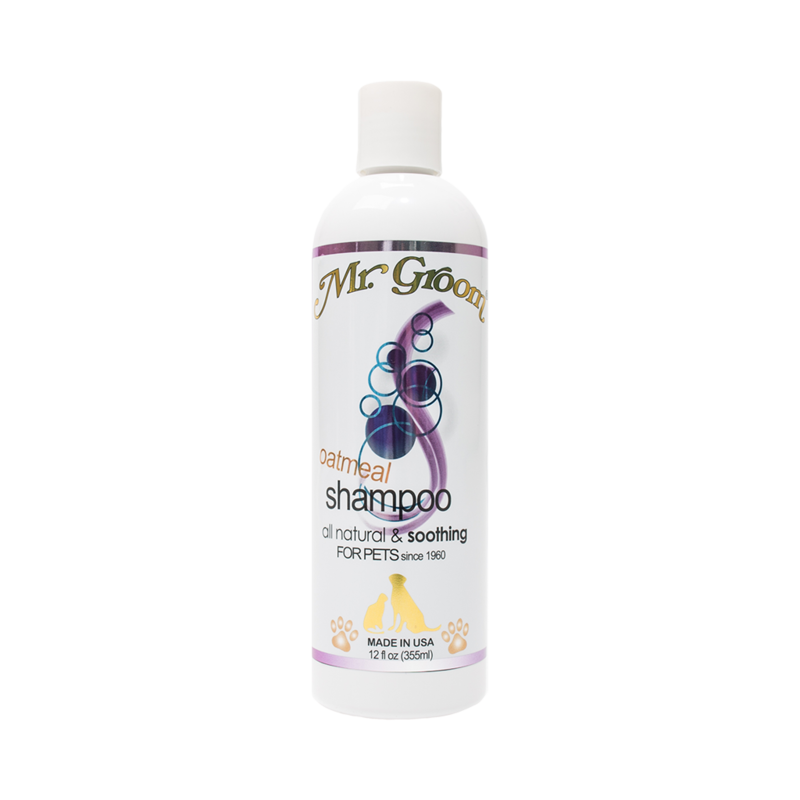 The less sulfates that are in this shampoo the better as you will be able to get the full effectiveness of the product. Oatmeal Shampoo: This formula is typically a mixture of colloidal oatmeal that works to loosen dead skin and help relieve itchy and dry skin. This formula is a must have in any grooming salon as a typical skin concern is the persistent scratching and skin irritation of dogs. Choose a product (such as Mr. Groom Oatmeal Shampoo) that is all-natural so you can use this as a regular remedy for dogs with this skin ailment. Whitener Shampoo: The whitener shampoo is an essential for any grooming salon that works with a large base of show dog customers as this product is a favorite in the dog showing arena. Many products either use optical enhancers (brighteners) or stripping agents in order bring out the white in the coat. Mr. Groom uses an all natural blend of ingredients that cause the hair to lie flat and reflect light better therefore making the coat look lustrous, white and shiny. Hypoallergenic Shampoo: A favorite for dogs with sensitive skin, hypo-allergenic shampoos are those whose ingredients will not cause an allergic reaction with the dog. While sometimes this may mean that the shampoo is free of fragrances and color this is not the case in all shampoos. Mr. Groom Protein Shampoo is hypo-allergenic, all-natural and still retains its fresh baby powder scent.